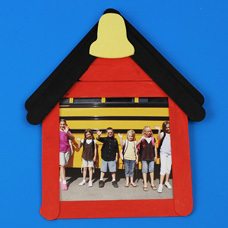 Create a unique Wood Stick picture frame in the shape of a schoolhouse to hold photos of your class, fellow bus riders or teacher of the year! 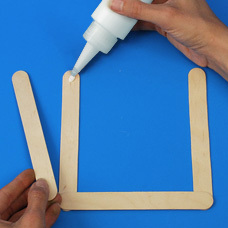 Glue (4) Jumbo Craft Sticks in the shape of a square. Glue (4) Jumbo Craft Sticks on top of the square in a triangle shape to form the roof of the schoolhouse. These sticks will overlap slightly, as shown. Once dry, flip schoolhouse structure over. 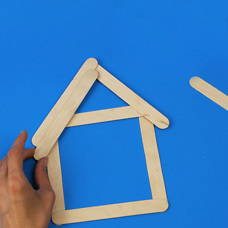 You will need to cover the gap created between the square base and triangle roof with pieces of a craft stick. 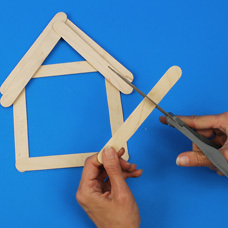 Take (1) Jumbo Craft stick and cut into two pieces, with one being slightly bigger than the other. 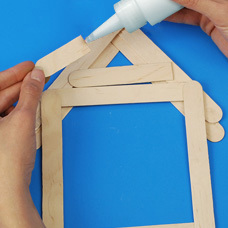 Glue the two cut pieces of Jumbo Craft Stick to cover this hole and allow to dry. Flip schoolhouse shape back over to front side. 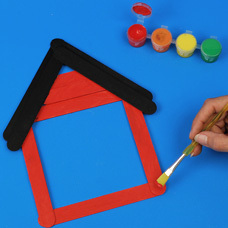 Paint the square shape base red and the triangle shaped roof black. 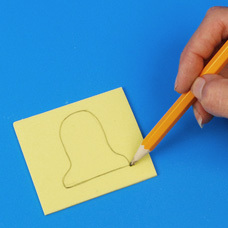 Draw and cut a bell shape from a yellow foam sheet. Glue bell to the top of the school house. 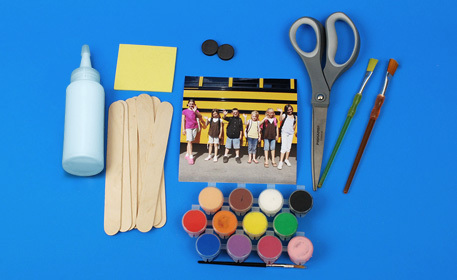 Once dry, glue or tape a 4 ½ x 4 ½ photo or photos to the back of the schoolhouse frame. Glue Magnet Buttons on back for hanging. 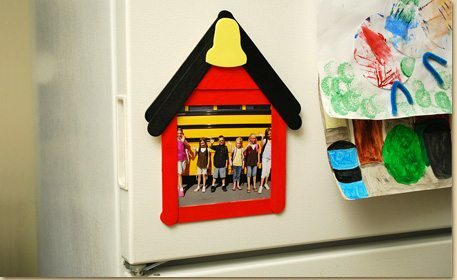 Once dry, hang your Schoolhouse Picture Frame Magnet on the fridge along with your A+ papers!